It’s been 18 months since my last blog post. I’ve strived to continue pounding the pavement since I last wrote in January 2016 but have averaged just one or two runs a week. It’s time to return to a more regular running regimen. To hold myself accountable, my commitment the second half of 2017 is to blog more frequently about my running and fitness, which has proven to correlate positively to my perseverance. Toward that end, I’m looking forward to an easy six-miler tomorrow. It will be a cool morning in Kansas City, and I’m ready to return to the tried-and-true out-and-back route I first plotted in 2009. Stay tuned for a post on tomorrow’s run and others that will bring you up to date on the last 18 months. Topics will include a 10K, a half marathon, pickleball, Barcelona, Rocky Mountain Spotted Fever, the Boundary Waters Canoe Area Wilderness and 26 years of marriage (see photo below with my awesome wife, Kate Schofield Beem). 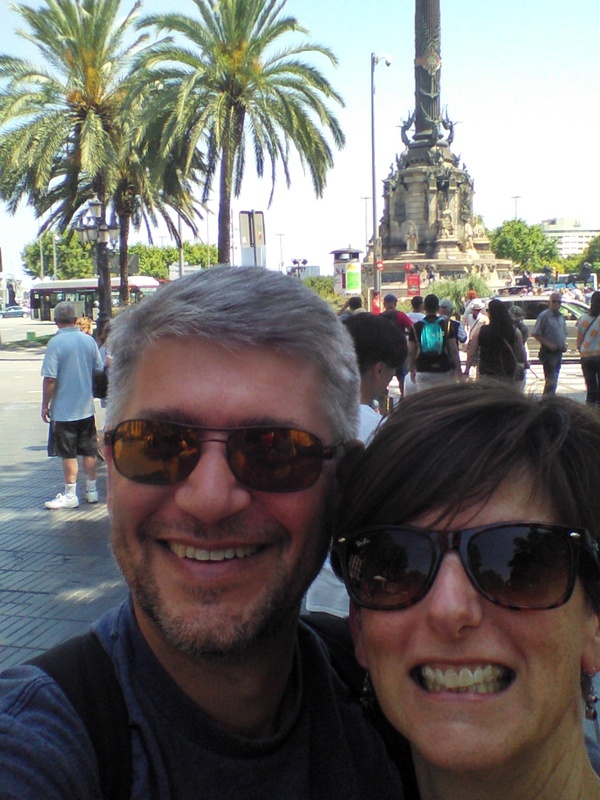 Kate and Matt on La Rambla in Barcelona. This entry was posted in All posts, August 2017. Bookmark the permalink.